I finally saw these new "Classic" Apes in a local Toys R Us the other day and they rank among some of NECA's finest figures. I'm not an Apes fan, but I was extremely tempted to pick them up just based on the quality alone, but in the end I decided not to. I barely have enough room for all the things I already collect! 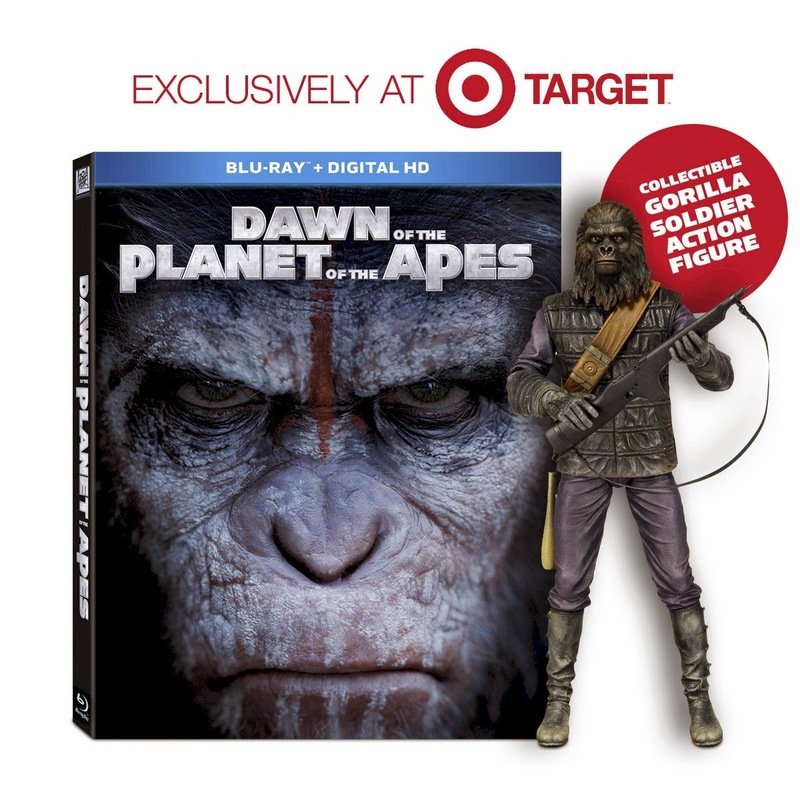 If you plan to buy your copy of Dawn of the Planet of the Apes Blu-Ray at Target, then you'll be able to pick up this exclusive pack which includes one of NECA's Gorilla Soldier figures. 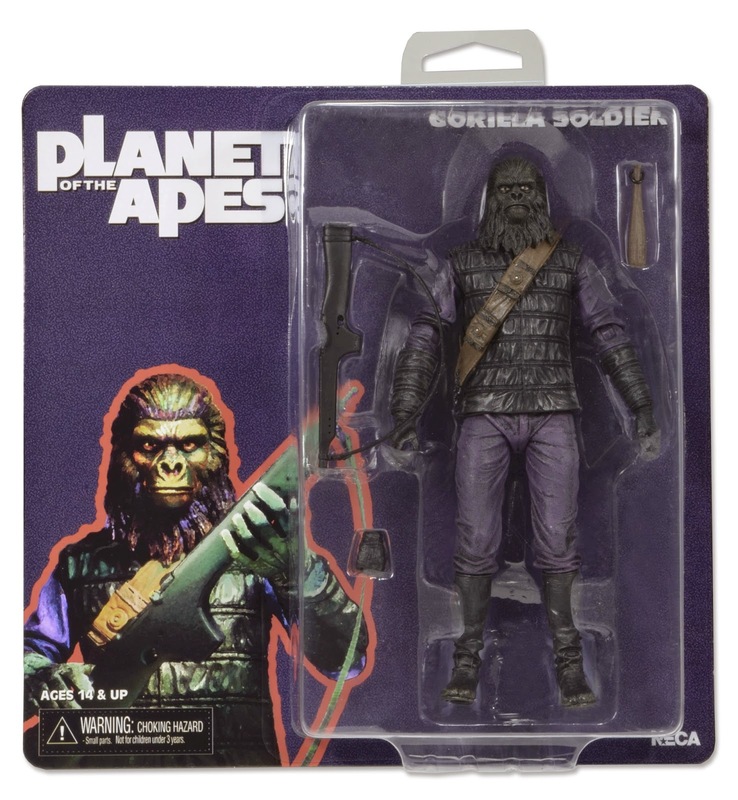 What's especially cool about this figure is the packaging which is a clear nod to the old MEGO carded Apes figures. TOY NEWS FOR 8/6/2014 - HOT TOYS ANNOUNCEMENT! TOY NEWS FOR 8/3/2014 - NECA FIXES 1984 GODZILLA!